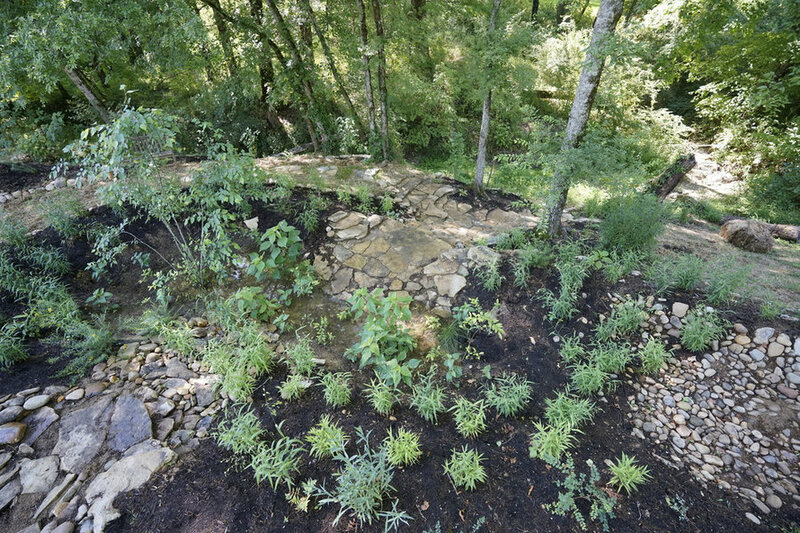 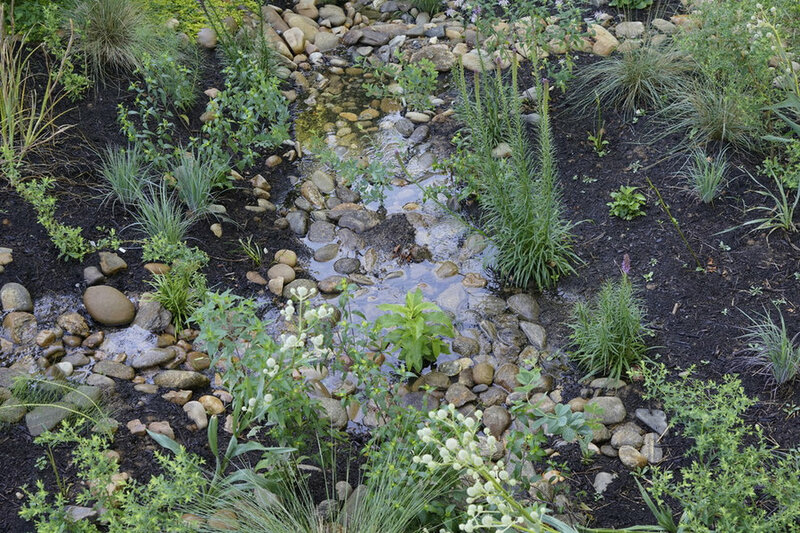 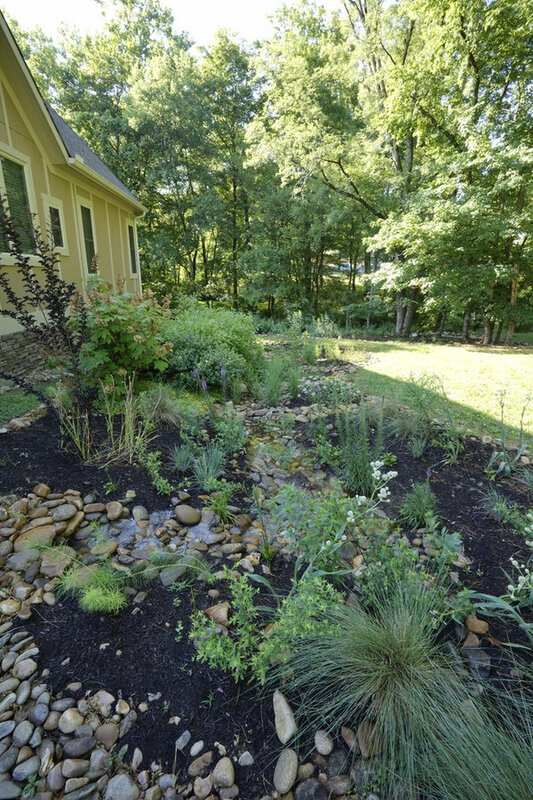 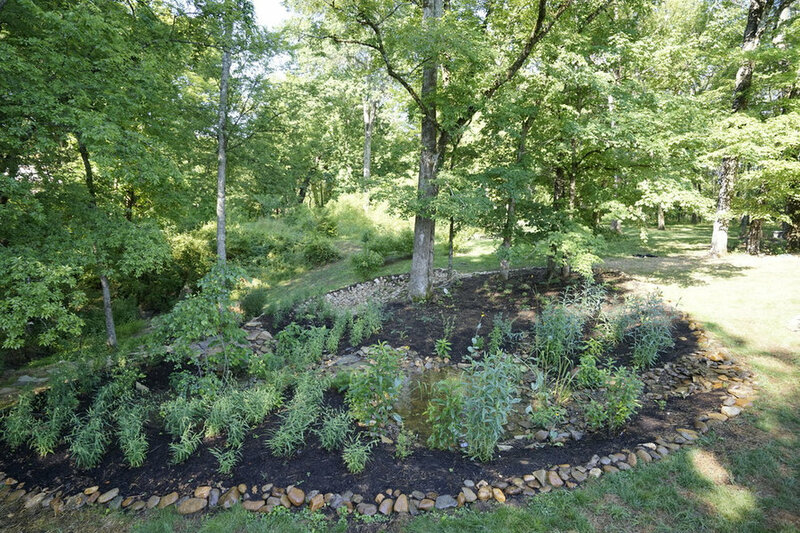 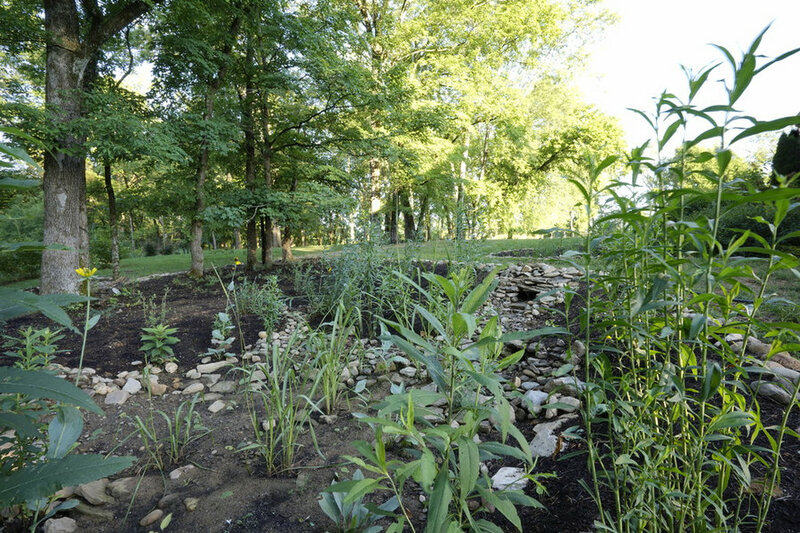 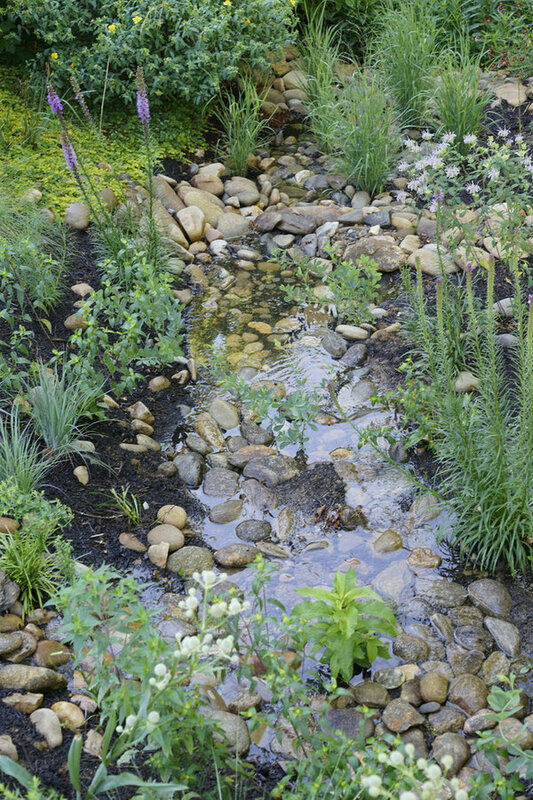 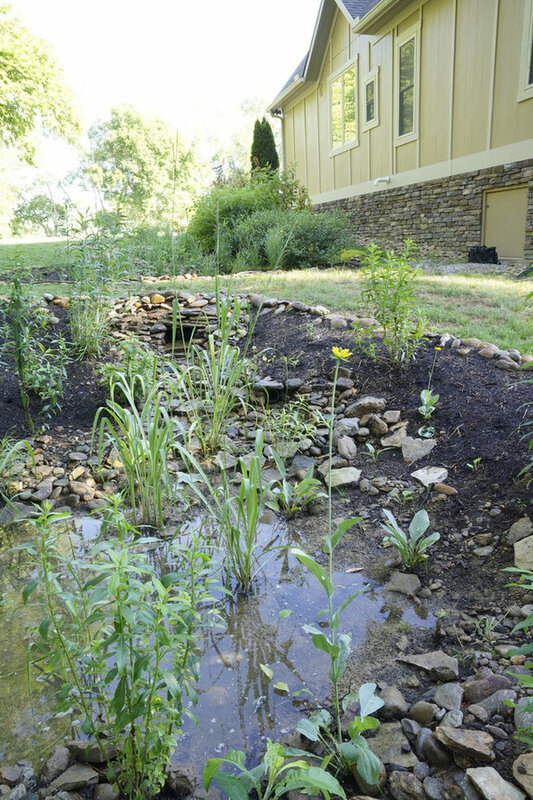 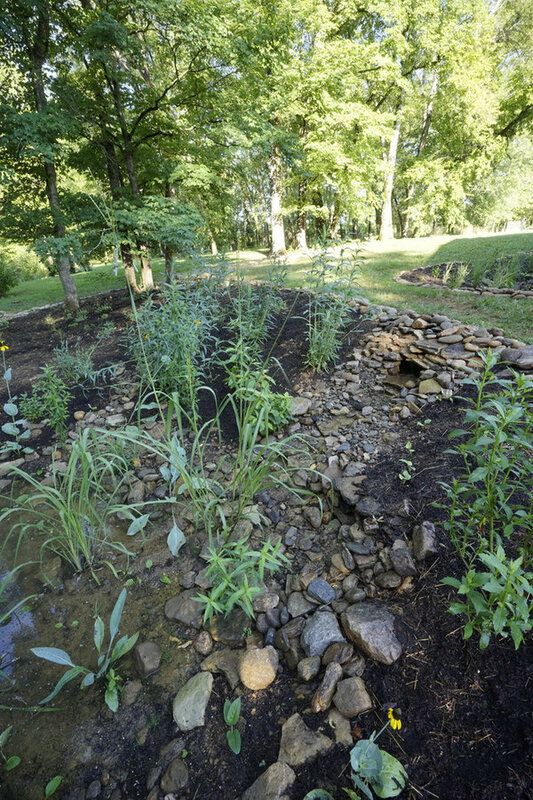 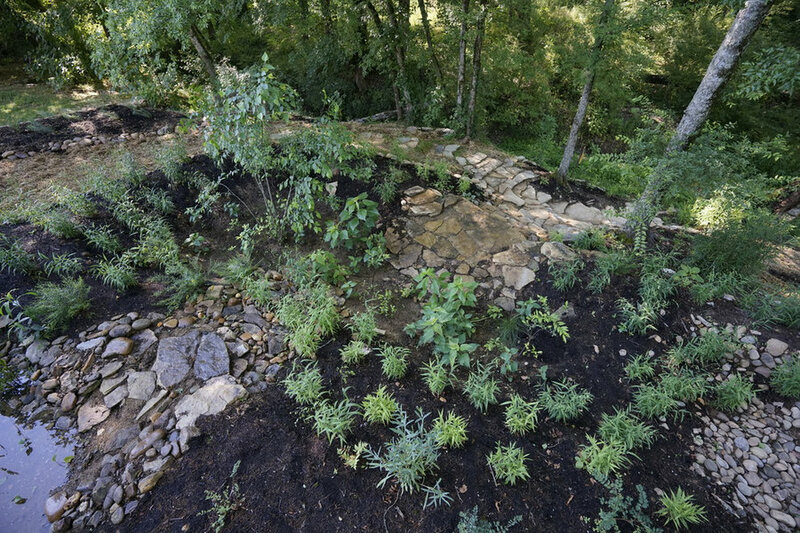 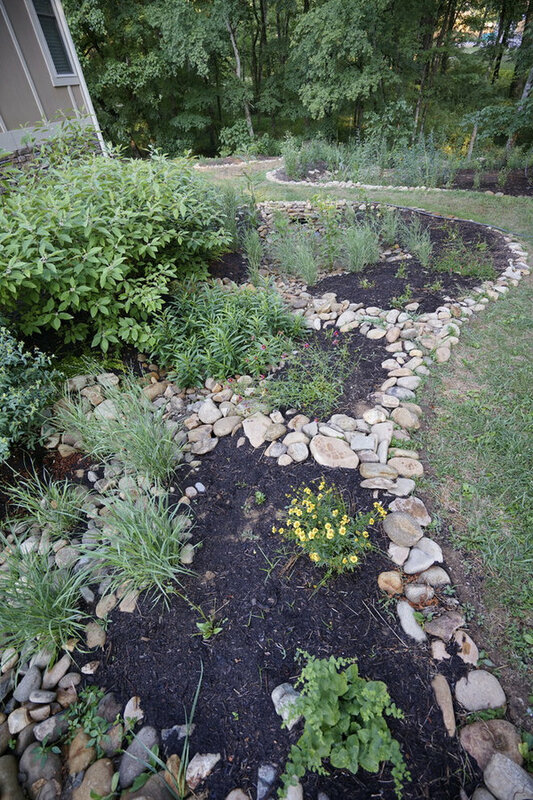 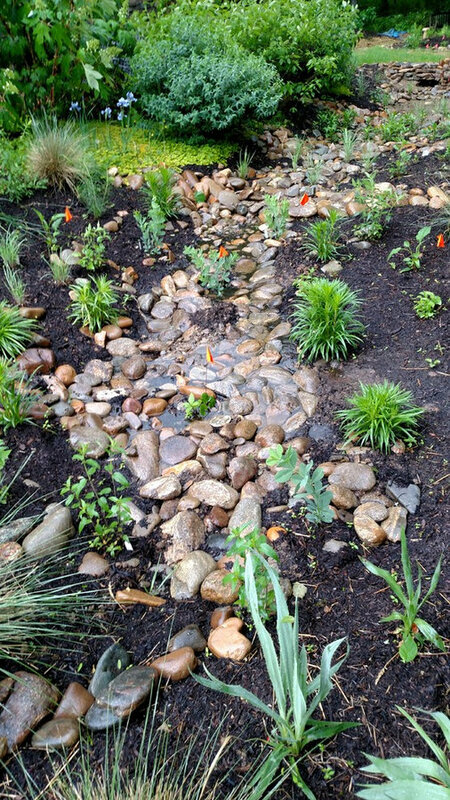 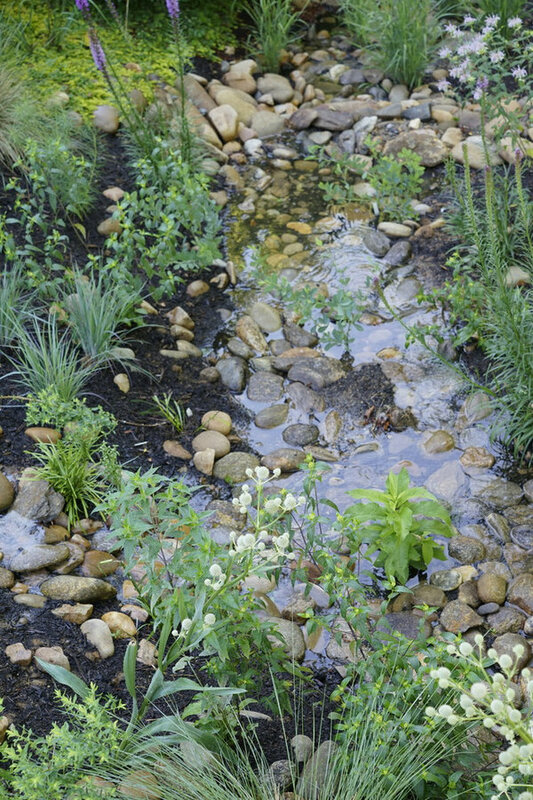 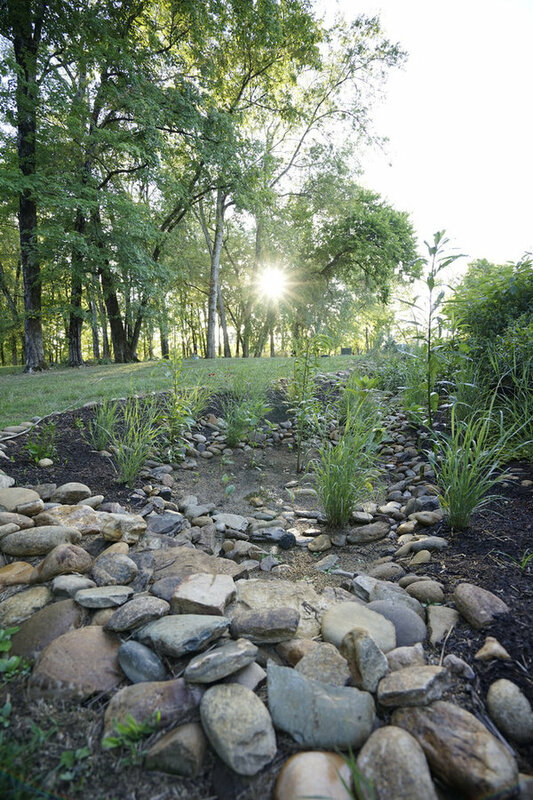 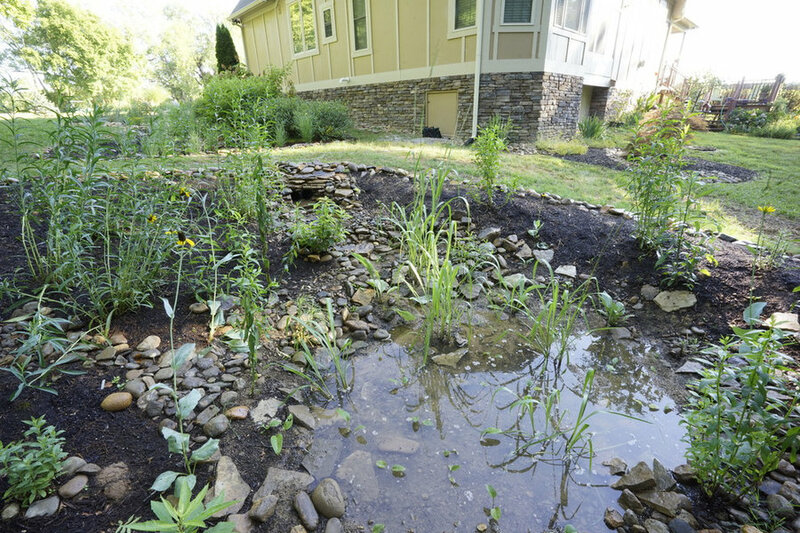 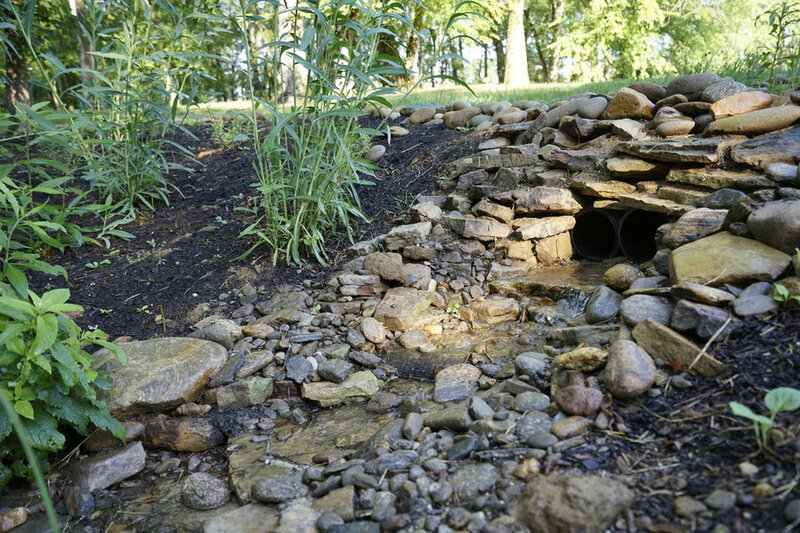 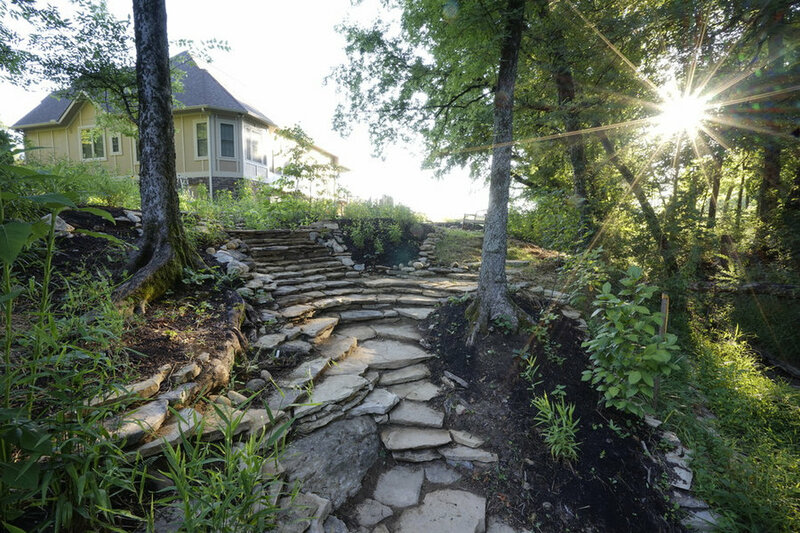 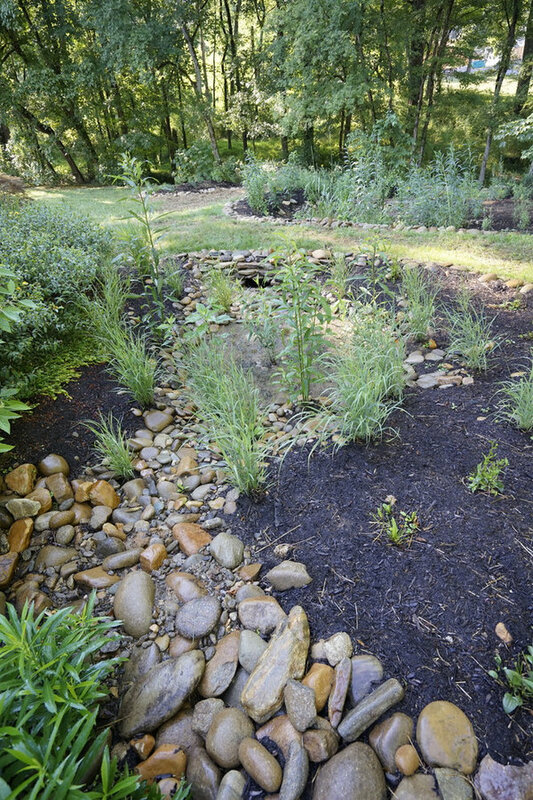 Rain Garden near the French Broad River in South Knoxville, TN. 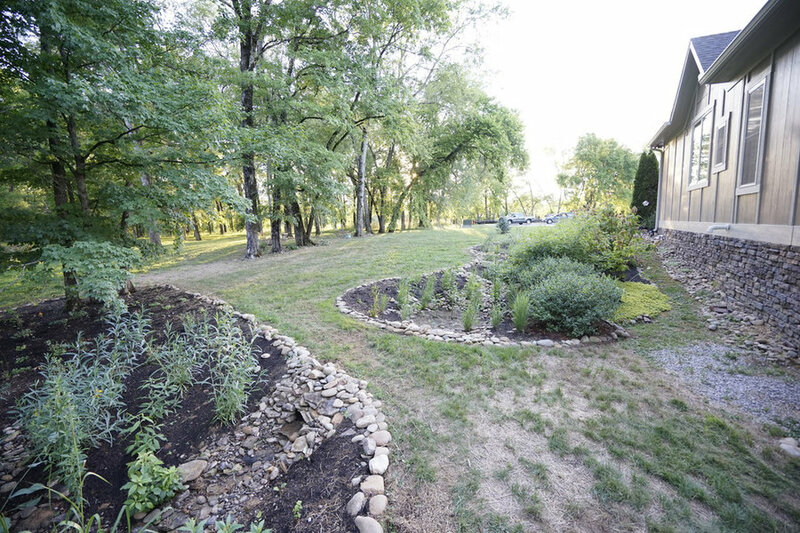 Side and backyard solution to drainage issues incorporating downspouts from the house and surface run-off. 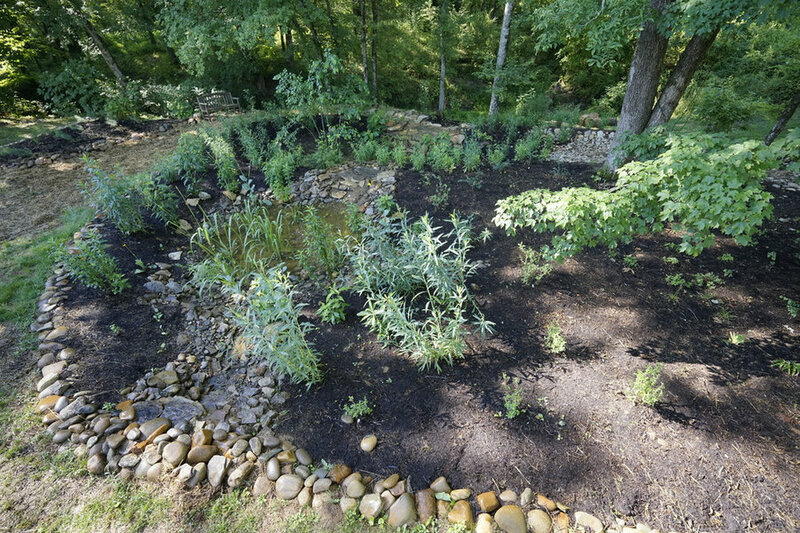 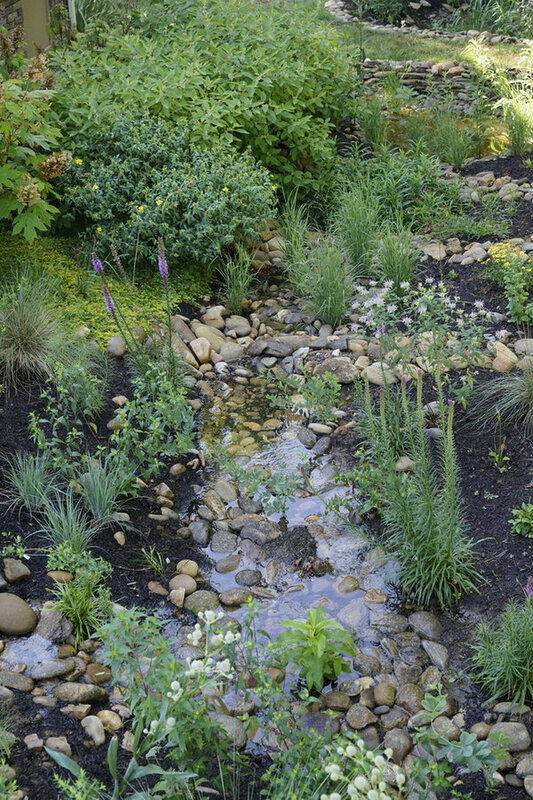 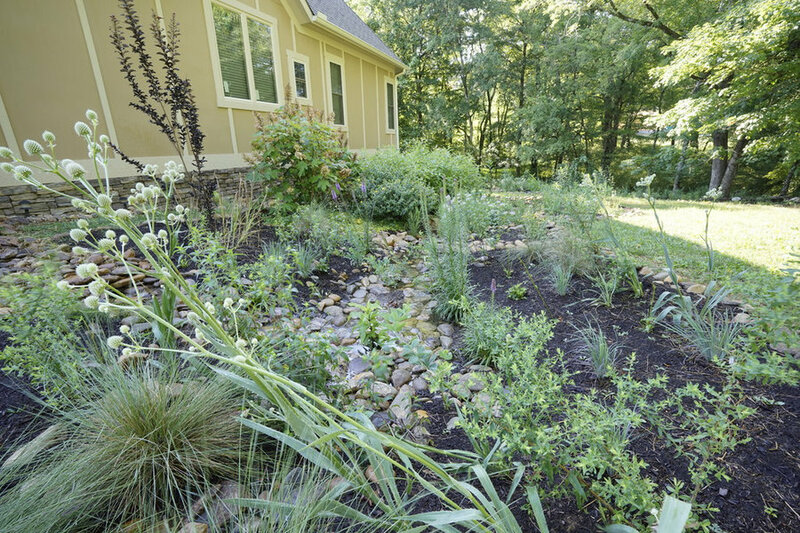 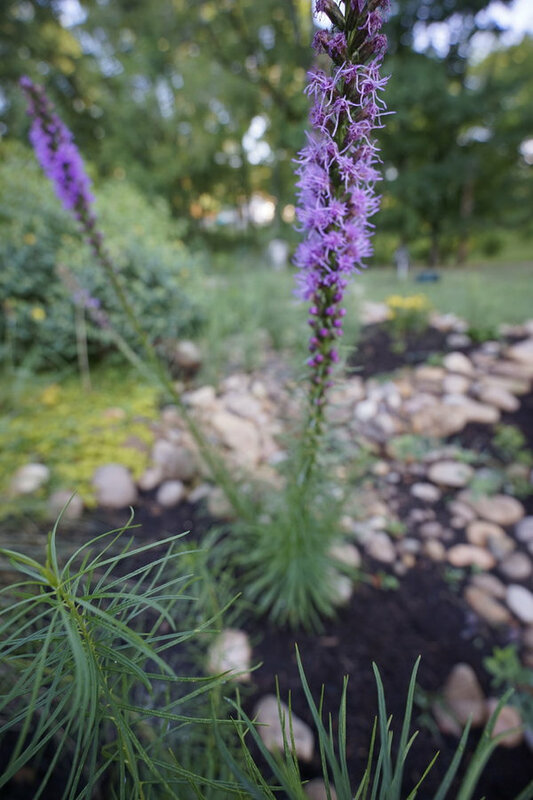 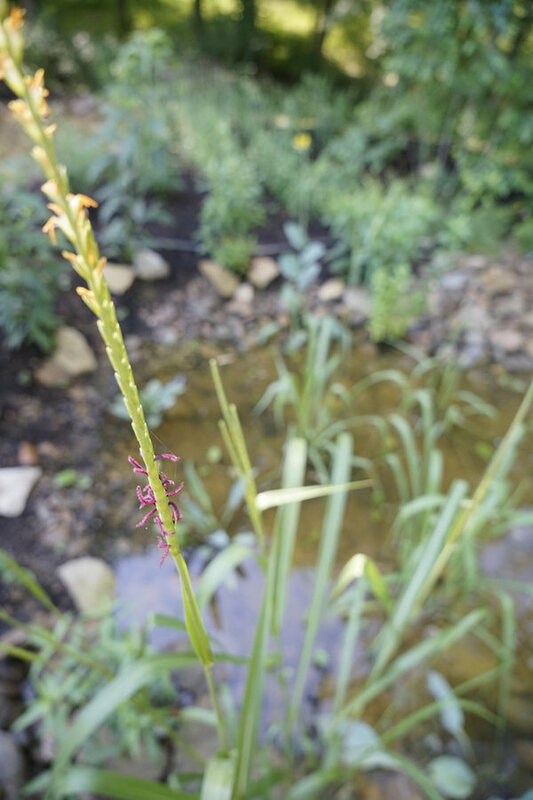 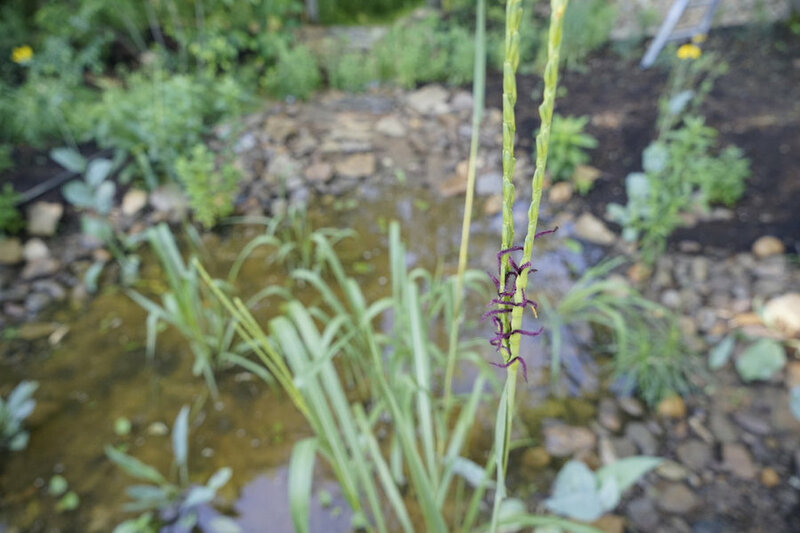 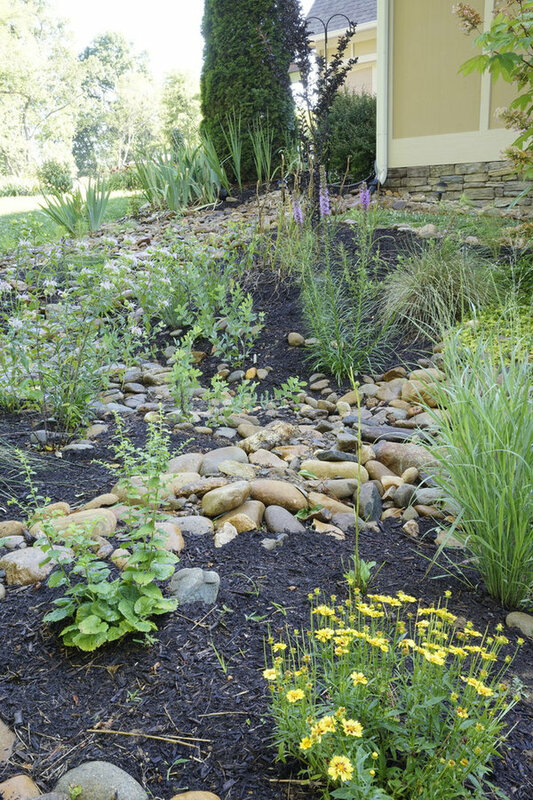 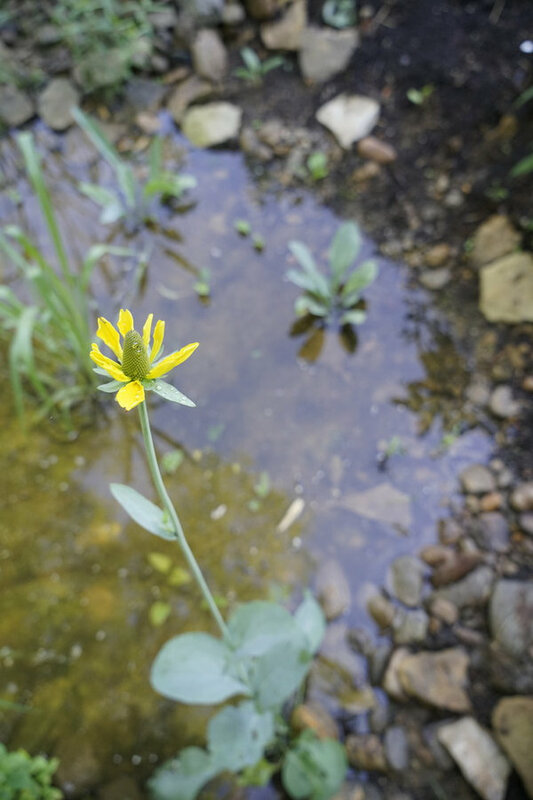 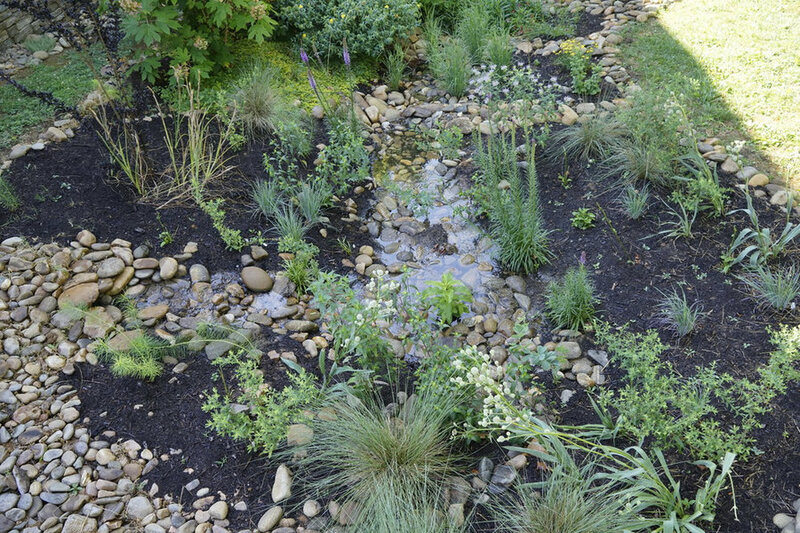 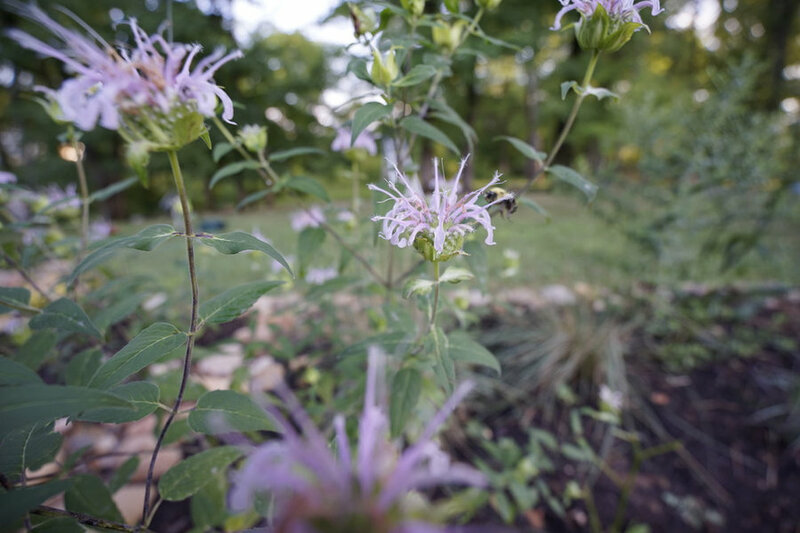 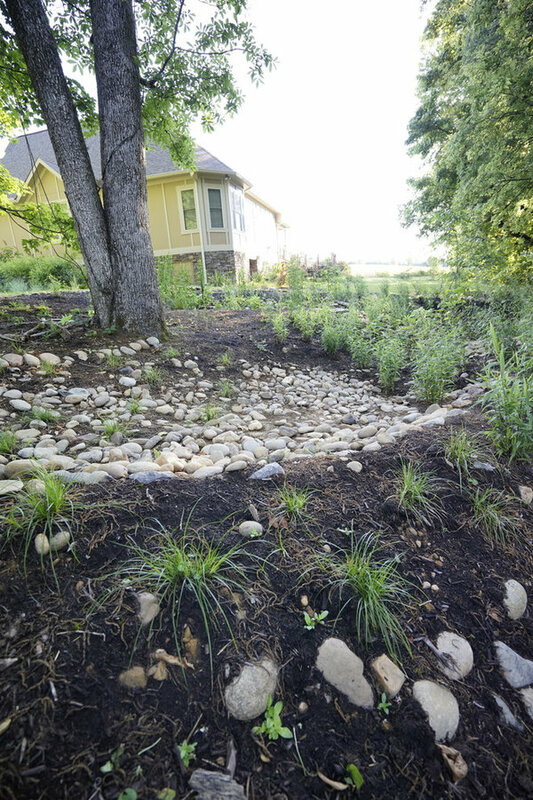 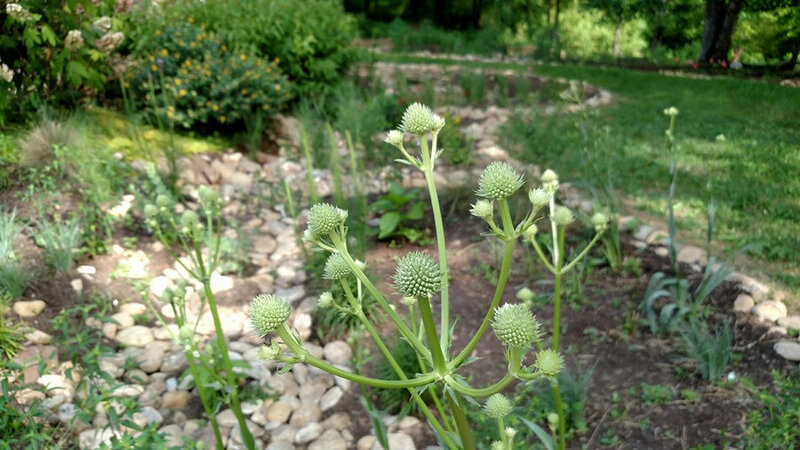 Native plantings include full sun, dry shade and wet sun and shade plantings. 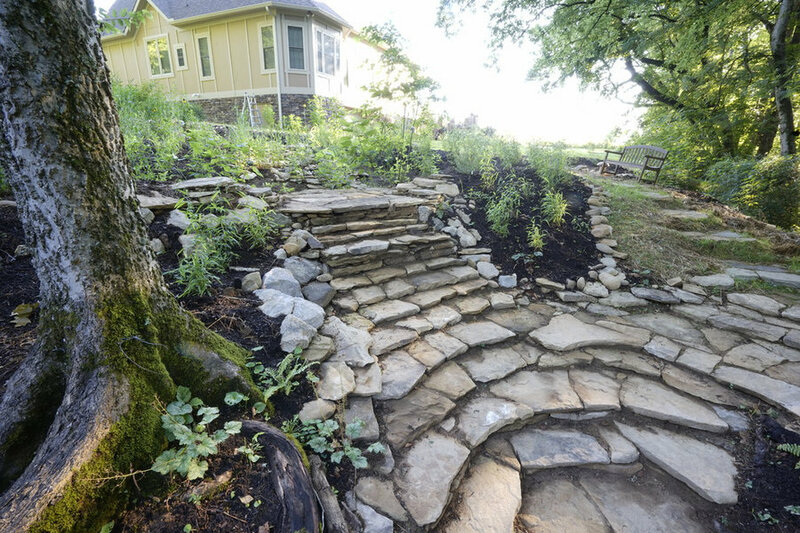 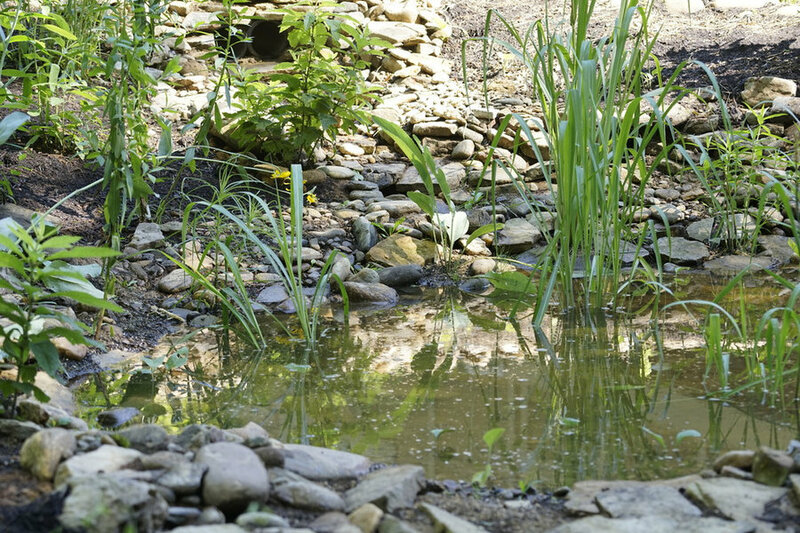 Natural stone work reflects the surrounding riverside landscape.